This instrument combines a thermometer, hygrometer and clock. 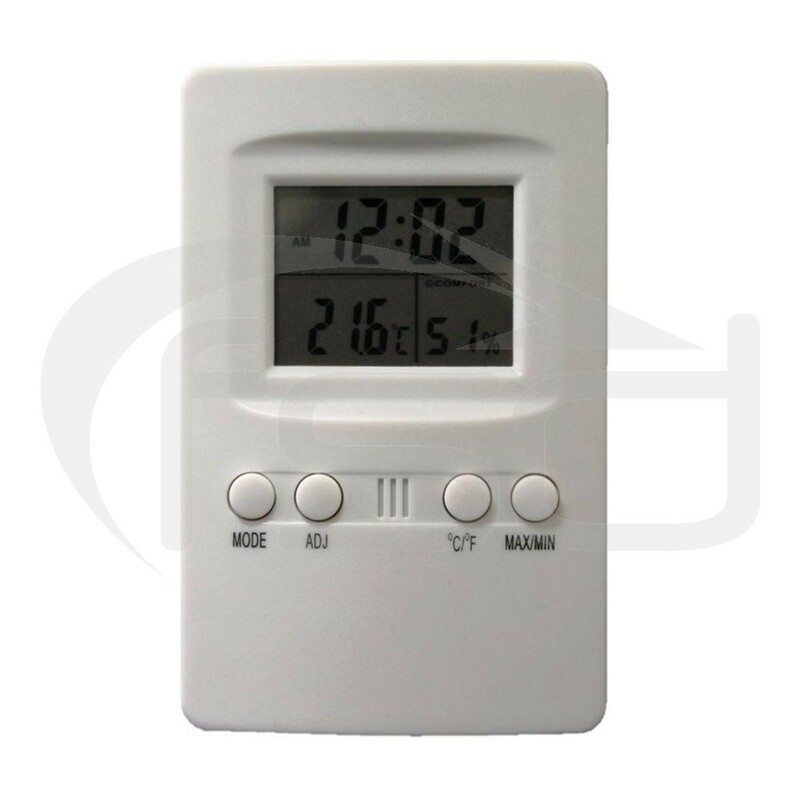 The two-line LCD display shows simultaneously the time, temperature and humidity. • Temperature can be displayed in °C or °F. The compact casing is only 110 x 70 x 20mm. The temperature range of the thermometer is -5°C to 50°C and is accurate to 1°C.